The Friends of the Planetarium organizes and hosts public programs for one weekend each month. We've chosen themes for each month, and all the activities or presentations for a given weekend will be related in some way to the chosen theme. The Friends of the Planetarium uses donations from the community to purchase digital full-dome programming to complement the library being developed by Arlington Public Schools. Here is our schedule for the current season. Come see “how it ALL began” in the introductory episode of COSMOS by Dr. Carl Sagan, The Shores of the Cosmic Ocean. In the first of our free showings of the beloved TV series, we will revisit the wonders of the universe as explained by the great popularizer of science. As an homage to Carl, come wearing your best ’80s-style blazers and turtlenecks! During the intermission, conjure up your favorite Sagan lines and your fondest memories of the show that inspired millions! Look-alike contest prizes will be given to the people who best embody the essence of Dr. Sagan and his love of science… and humanity. Stay for the second episode of the evening, Journeys in Space & Time. Among the scientists who changed the world, perhaps Albert Einstein is the most recognizable…although most people don’t really know what his theories are! Watch this episode as Dr. Sagan explains the surprising nature of the Theory of Relativity including the bending of space and the possibility of time travel. Target Audience: 10 through adult. Running Time: 2.5 hours (all activities). Doors Open: 6:00 p.m. Show Begins: 6:30 p.m.
Our understanding of the cosmos rests on the “shoulders of giants”…the great astronomers of the past. See Carl Sagan’s history and evolution of modern astronomy from myths and horoscopes to the laws of astrophysics. 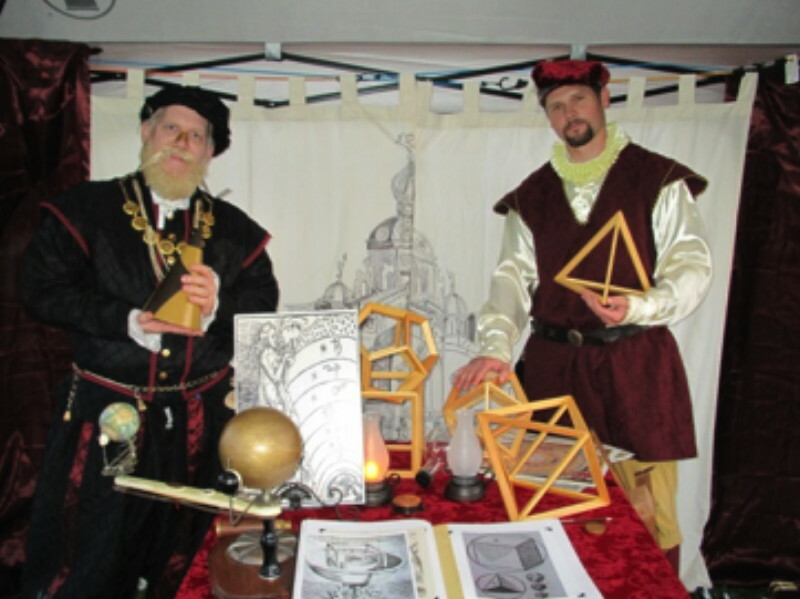 You can also meet the “stars” of the film, the famous astronomers Tycho Brahe and Johannes Kepler, as they describe their world and entertain your questions. Running Time: 2 hours (all activities). Doors Open: 6:00 p.m. Film Begins: 6:30 p.m. Debate Begins: 7:30 p.m.
1) Screening of Cosmos episode The Lives of the Stars followed by free apple pie outside the planetarium. “To make an apple pie, you must first create a universe.” Join Carl Sagan as he explains how the cosmos extends from the realm of distant stars to the tiniest atoms. This afternoon’s classic Cosmos episode famously explains how we are all “star stuff” amidst the billions of galaxies in the universe. After the show, you can enjoy a slice of that universe, in the form of a piece of apple pie! Running Time: 1.5 hours (all activities). Doors Open: 1:00 p.m. Presentation Begins: 1:30 p.m.
2) Screening of the digital program Earth, Moon and Sun. Credit: Morehead Planetarium and Science Center (http://moreheadplanetarium.org/). This planetarium show explores the relationship between the Earth, Moon and Sun with the help of Coyote, an amusing character adapted from Native American oral traditions who has many misconceptions about our home planet and its most familiar neighbors. His confusion about the universe makes viewers think about how the Earth, Moon and Sun work together as a system. Native American stories are used throughout the show to help distinguish between myths and science. Target Audience: ages 7 to 13 and their families. Doors Open: 2:30 p.m. Show Begins: 3 p.m. The David M. Brown Planetarium is located at 1426 N. Quincy Street, Arlington, VA 22207. Admission for Earth, Moon and Sun only is $3 for Children (up to age 12), $5 for Friends, Members, and Seniors (60+), and $7 for teens and adults. Admission for all Cosmos and associated activities is free of charge (DONATIONS and new MEMBERSHIPS are welcome), but we recommend that you reserve your seat in advance if possible. To download a colorful 8x10 poster advertising this month's weekend, click here [3.6 MB jpg].